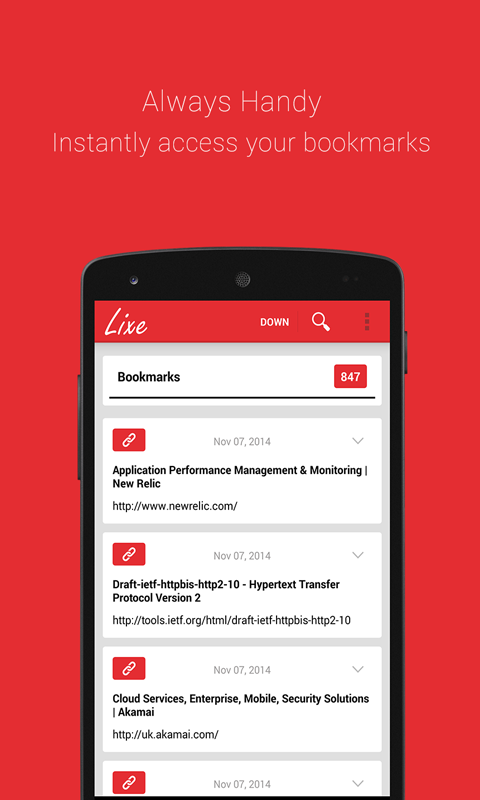 Lixe is an easy way to synchronize your bookmarks across different devices and browsers. 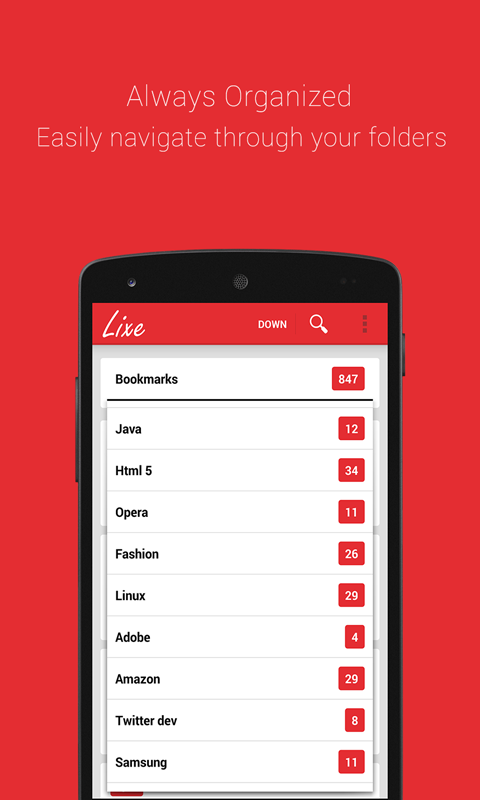 With the official Lixe Android App you can easily manage your bookmarks on the go and access them from everywhere, whenever you need them, without any effort. Once you have synchronized your bookmarks with your Lixe account, they will be safely and privately stored and always at your disposal. 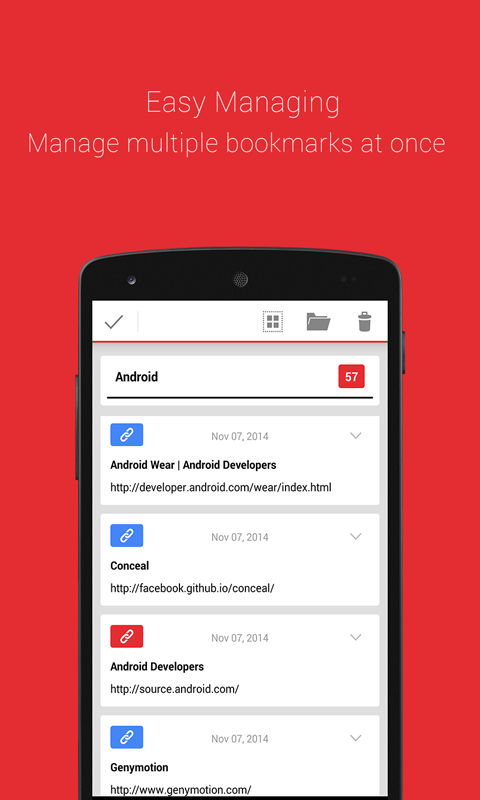 Edit, move, delete, add new links, search bookmarks and switch folders with just a gesture of your fingertips. 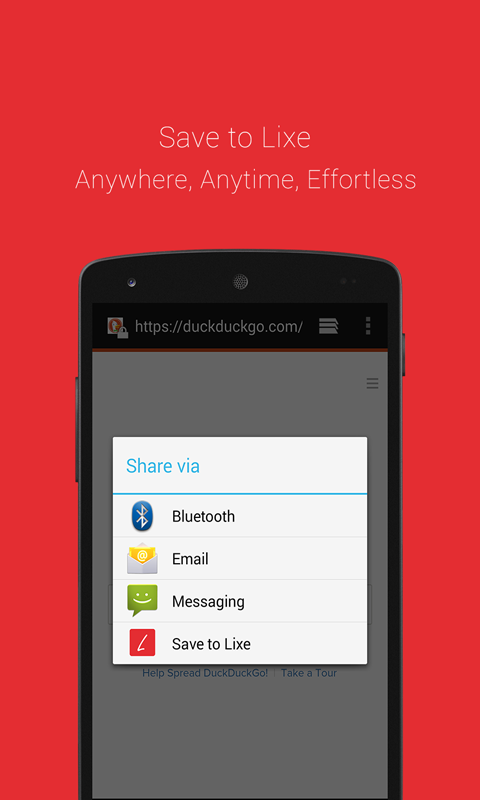 The app integrates into the Android universal share menu for quick and easy bookmarking from your browser and other apps. 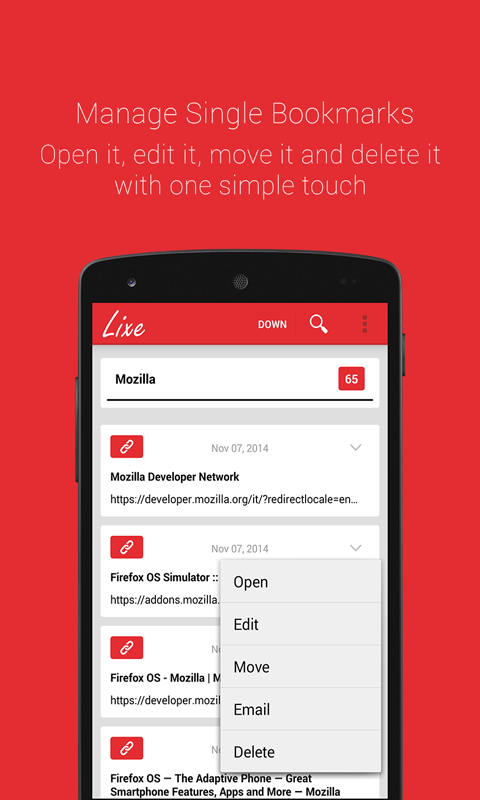 Go to the Share menu on any webpage, then choose 'Save to Lixe'. 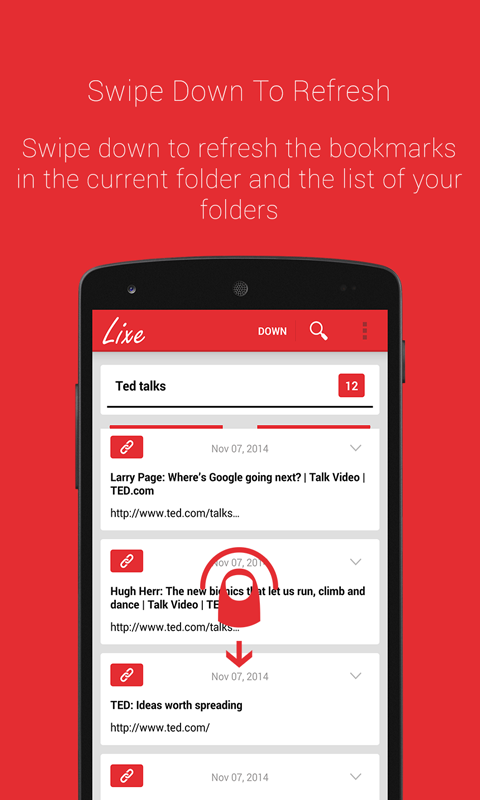 You can save your links on the go without even opening the Lixe app. HOW DO I SYNCHRONIZE MY BOOKMARKS? Simple, just use the free Lixe Browser extensions for Google Chrome or Opera Browser to synchronize all your bookmarks across different browsers and your Lixe Account.